Any French bulldog owner will tell you that training starts the moment you bring your new pup home. Why? Not only will it start you off on the right foot, your pup will be able to immediately start learning what to do and not to do in this new environment! 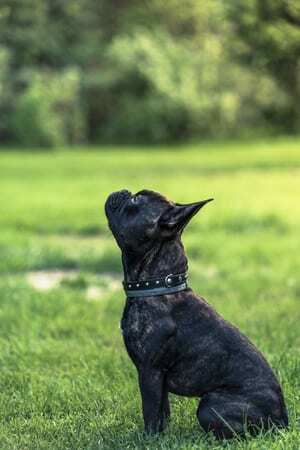 Your French bulldog breeders will have most likely started to implement some form of potty training and of course socialization with their siblings and perhaps some people, too, but it’s your responsibility now to lead them in the right direction. Here are a few tips to help you while training your French bulldog puppy! First it will be house training and introducing them to their crate. After that, it’s learning commands and social skills. Just remember that, although they can be stubborn at times, French bulldog puppies are always looking to please their owners. With that in mind, training will be a breeze! Frenchie puppies tend to pee a lot, which makes potty training a bit of a process. First, set up puppy pee pads around your house just in case your pup doesn’t make it outside every time. Accidents will happen, and you have to be patient. Keep in mind that French bulldogs are a very sensitive breed and will take to it heart when they are scolded. Punishment is not the key to success with potty training—practice and consistency is! Take them to the same spot every time you take them outside. This familiarity will stick with them as they associate that area with relieving themselves. You should also try to take them out often—unbelievably often so that if they have to go they can, and if not, they’ll benefit anyway from practicing the drill. Lastly, always reward your hardworking pup. Since they’ll be aiming to please, treats and praise will let them know they’ve done a great job and they’ll soon after recognize that going to the bathroom outside is the right protocol. Hammering out a puppy potty schedule will also help you keep track. After potty training comes the introduction to their crate. No matter what, your goal is to make your puppy’s crate a positive experience. We suggest laying a cozy blanket inside of the crate as a bed, and drape a blanket over top so that your puppy can feel like they have their own space. If you crate train correctly, it will fall in line with your potty training schedule. Every time you bring them out of the crate, take them outside to relieve themselves. This association will help keep them from accidents within their kennel. There are a few different crate training methods you can use to get your Frenchie puppy acclimated to their kennel, if you choose to use one, but as long as you remember to keep it a positive experience—no punishments or forcing them into it—your puppy will be sitting happy in their comfy crate. When it comes to learning commands, short and sweet is always better. Keep your lessons short as to not overwhelm your Frenchie, but revisit the lesson frequently so they can practice and learn. Socializing at a young age is essential for any puppy, but especially when it comes to French bulldogs. 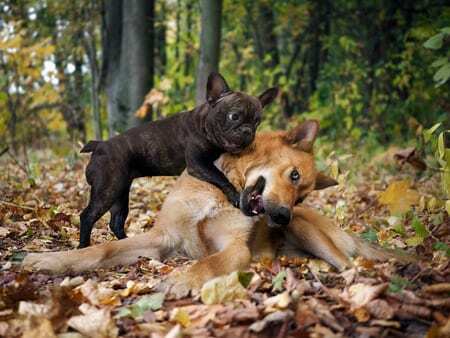 Since Frenchie puppies form a very solid connection to their owners almost instantly, socialization while they’re young is a must or else they could become standoffish towards strangers. Their friendly personality makes human and fellow dog interactions easy, so encourage—don’t force—your pup to approach people and other dogs at the park and try to have visitors over during the early stages so that they can get used to different people, not just you. At Family Puppies, we aim to provide our puppies’ new owners with as many tips and tricks of the trade so that the puppies can have a smooth transition from our home to yours. 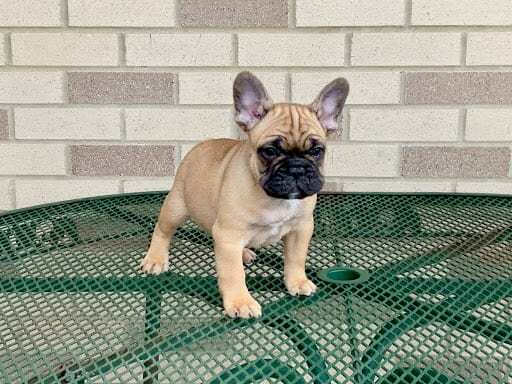 Give us a call at 574-354-2428 today with any questions you may have and if you’re looking for that perfect pup to add to your family, feel free to check out our French bulldog puppies for sale!